This is a die-cut Hudson’s Soap porcelain sign. 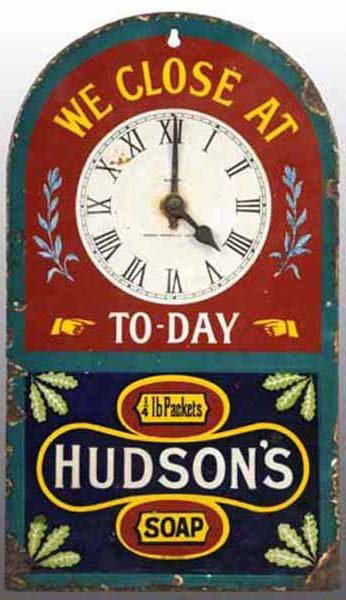 This particular Hudson’s Soap sign is very colorful and includes a white clock face with moveable black hands. It reads, “We Close At To-Day, 1/4 lb Packets, Hudson’s Soap” in yellow and white text.